…because it’s been that kind of week. 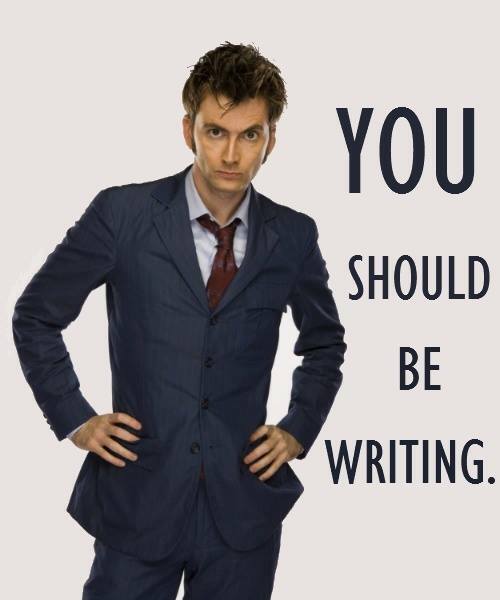 It’s the fifth day of NaNoWriMo, and have I started anything yet? No. Why? Because the shiny new idea just came to me two nights ago. I’m not worried, though, because I’d started Nemesis on November 15th, 2008 because I’d forgotten NaNoWriMo had started. While I may not have completed Nemesis in 30 days, I did finish the zero draft in two and a half months. Not bad. NO TWITTER, NO FACEBOOK, NO SLEEP. JUST WRITE. AND DON’T WAIT TILL THE 15TH. You can have a slice of turkey on the 27th. THEN KEEP WRITING. LOL I run a publishing company. I can’t go offline for a month.